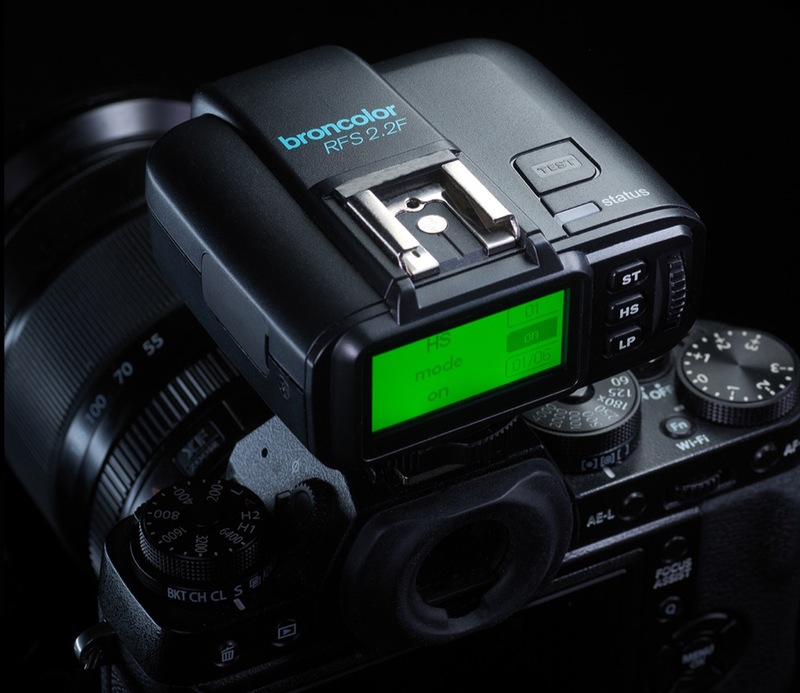 Fujifilm shooters will be happy to know that the lighting pros at broncolor have introduced the RFS 2.2 F transceiver for Fujifilm cameras, joining the Canon, Nikon and Sony units in the series. Developed in collaboration with Godox, the transmitter-receiver supports high-speed-sync capability and is compatible with broncolor’s monolights and pack systems. Operating as a remote control or a radio flash trigger, the RFS 2.2 F features broncolor’s HS technology, which supports flash sync up to 1/8000 sec., on the Siros and Move series lighting solutions. The transceiver, however, is backward-compatible with RFS 2-enabled products like the Scoro and Senso power packs. You can read our recent hands-on review of the broncolor Scoro 3200 S WiFi / RFS 2. The RFS 2.2 F has a radio connectivity range up to 300 feet, with a studio address setting range up to 99 and a Lamp address setting range up to 40. Additional features include a backlit LCD, a rotary control wheel and a PC sync/hot-shoe for syncing to other flash systems. The RFS 2.2 F is slated for delivery later in December 2017, but can be pre-ordered now. The RFS 2.2 units for the other camera makers’ are priced at around $110 at third-party retailers like B&H, so we expect the RFS 2.2 F to be in that ballpark. Get more details on the broncolor website. Union, NJ – broncolor, the manufacturer of industry-leading professional lighting tools for over half a century, announces the new RFS 2.2 F for Fujifilm cameras. Developed in cooperation with Godox, the RFS 2.2 F can be used in conjunction with broncolor’s world-renowned professional flash monolights and pack systems. Designed to bring versatility when shooting outdoors, broncolor’s HS technology allows for flash sync up to 1/8000s on supported lights, enabling the photographer to open up the aperture for shallow depth of field. Using a single flash pulse, the resulting HS flash has no major impact on light output or battery life. Specifically, broncolor’s Siros and Move product lines currently support HS, while the new RFS 2.2 F maintains backward compatibility with existing RFS 2 enabled products such as Scoro and Senso packs. 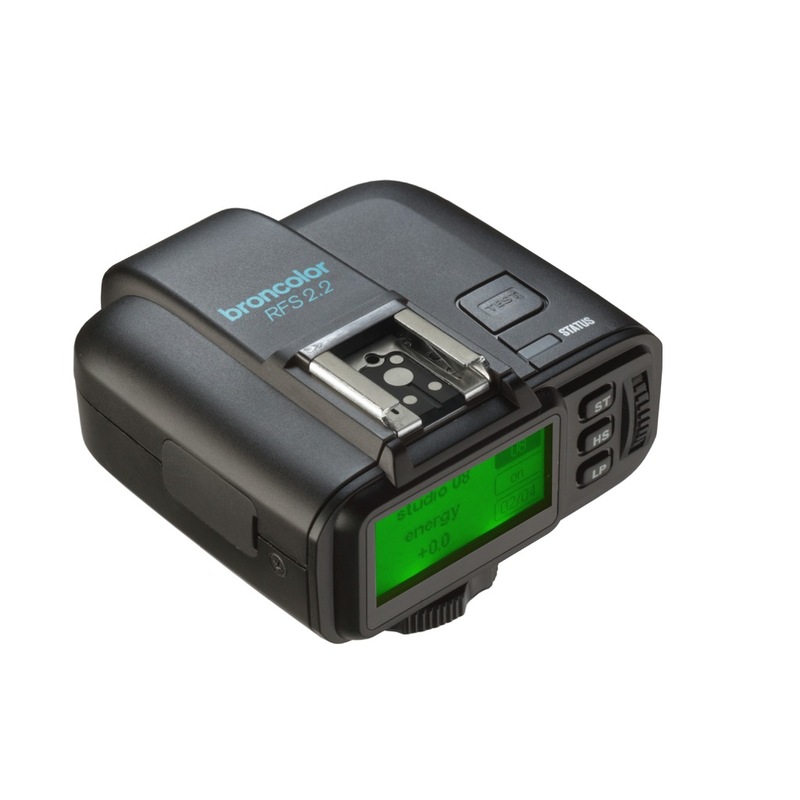 Broncolor’s RFS 2 technology allows radio connectivity up to 100 meters or 300 feet, with remote flash output control, and modeling lamp toggle for up to 99 separate Studio channels with 40 Lamp groups per channel. Like its Canon, Nikon, and Sony counterparts, the RFS 2.2 F features a low profile design, backlit LCD, rotary control wheel, and configurable PC Sync / Hot Shoe pass through for sync to other flash systems. The RFS 2.2 F is available for pre-order immediately from authorized broncolor worldwide dealers with delivery later in December. About Hasselblad Inc: Based in Union, NJ Hasselblad Inc. is the US distributor of broncolor lighting products alongside Foba studio equipment and Hasselblad cameras. With a nationwide sales and support team, Hasselblad Inc. is proud to make available the imaging industry’s best tools possible. About broncolor: Founded in 1958, broncolor has represented the best in accuracy, consistency, and technology for professional lighting tools. With a track record of technological innovation, broncolor continues to believe in the highest quality tools possible from their headquarters in Allschwil, Switzerland. With sales and support available globally, broncolor continues to lead the way into their 60th Anniversary to be celebrated in 2018.